Does a doorhandle or a keyboard have more germs? The University of Queensland’s Dr Alysha Elliott swabbed people’s hands and common workplace surfaces to expose some of the germiest places around the office, as part of Global Handwashing Day (15 October). 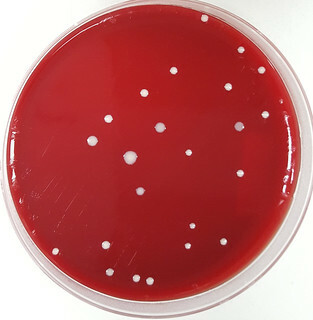 Dr Elliott, from the Institute for Molecular Bioscience (IMB) Centre for Superbug Solutions, took samples from people’s hands both before and after washing, and also from surfaces such as lift buttons, door handles and office kitchen microwaves. “We found a range of microbes on everyone’s hands and on all surfaces, though some places were surprisingly cleaner than others,” Dr Elliott said. “Microbes are the oldest life form on earth and they can be found everywhere and on everything we touch. “We can pick up a range of microbes, such as bacteria and fungi (including yeasts and moulds), during our daily routine. View the swab sample results in the image gallery below. Dr Elliott is head of microbiology and screening for the Community for Open Antimicrobial Drug Discovery (CO-ADD), a global initiative to find new drugs to treat antibiotic-resistant bacteria. She emphasised that it was important to remember that not all bacteria are harmful. “Humans carry bacterial colonies from our heads to our toes and the vast majority of these are harmless or indeed beneficial to human health,” Dr Elliott said. CO-ADD will be sharing pictures of different microbes from across the workplace on Twitter today @COADD_news. For information and factsheets on hand hygiene please visit Hand Hygiene Australia. Media: Ruth Neale, r.neale1@uq.edu.au, 0487 955 790.